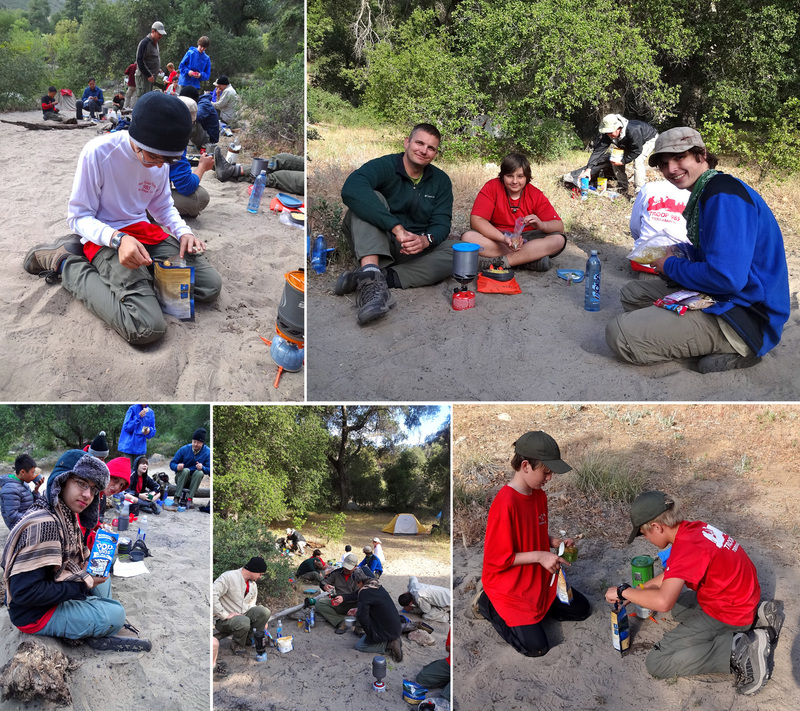 This past spring Sam’s Boy Scout troop went on a few backpacking trips. 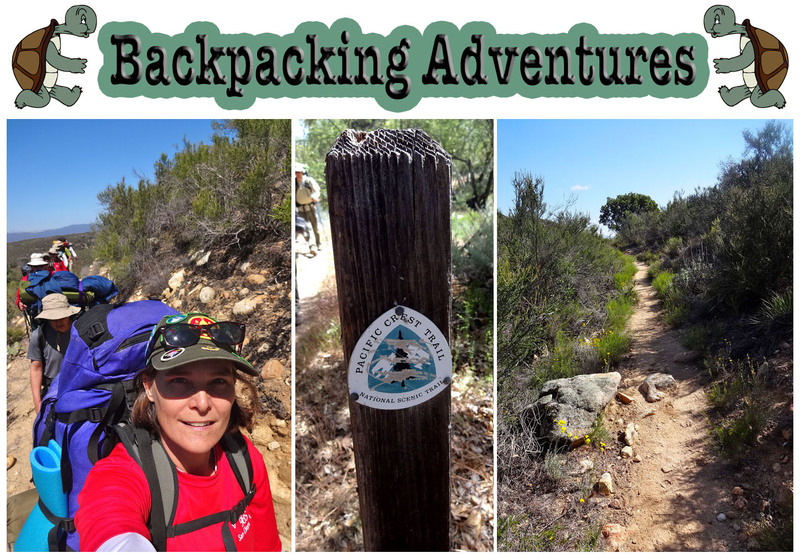 This post chronicles our May trip to Caliente Creek, along part of the southern leg of the Pacific Crest Trail. 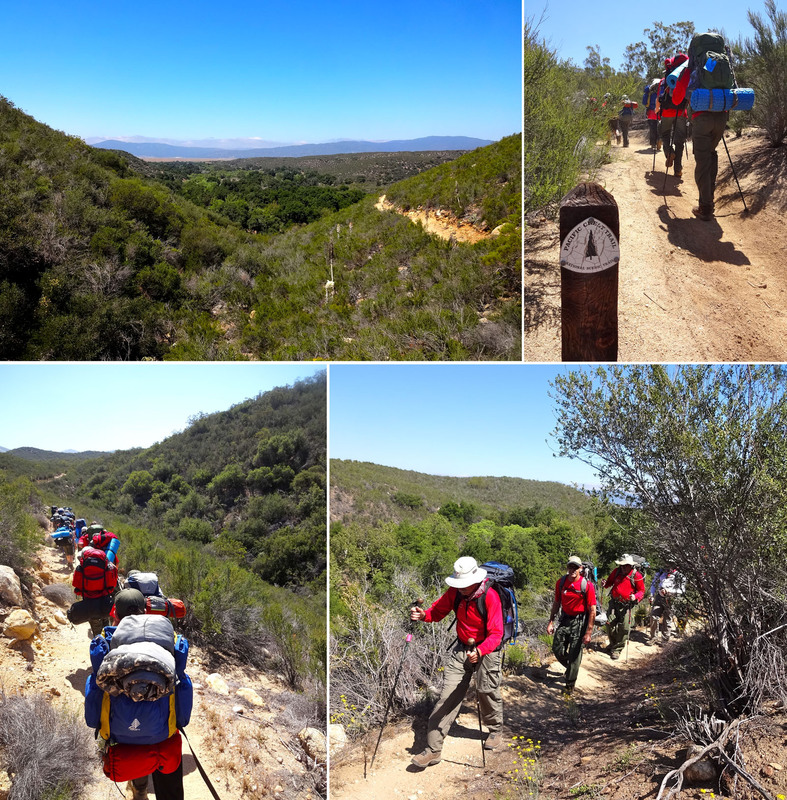 Fifteen scouts and 9 adults backpacked a total of 7.2 miles on our 2 day, 1 night trip. 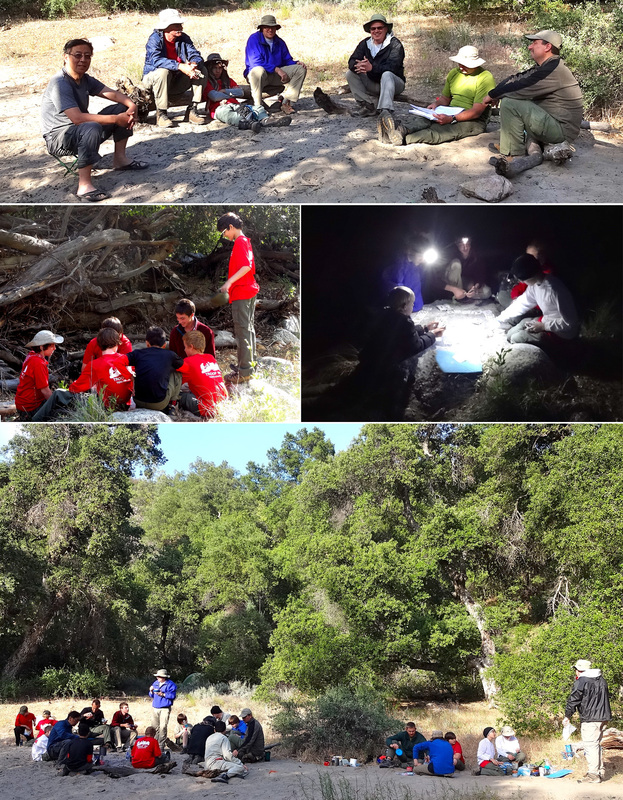 This was a backpacking training event for the troop, and for 5 of the scouts it was their first backpacking trip, and for several others it was their second trip. 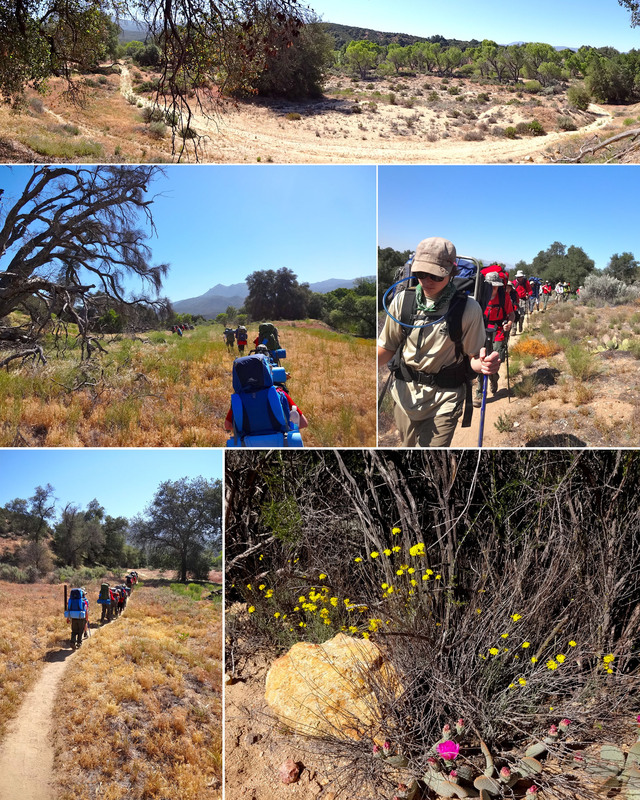 We were all treated to a lovely hike through the back country, to our campsite near the burbling Caliente Creek. The oaks were big and green, the creek was full of frogs, and most important of all, the Starbuck’s Via coffee was flowing on Sunday morning. 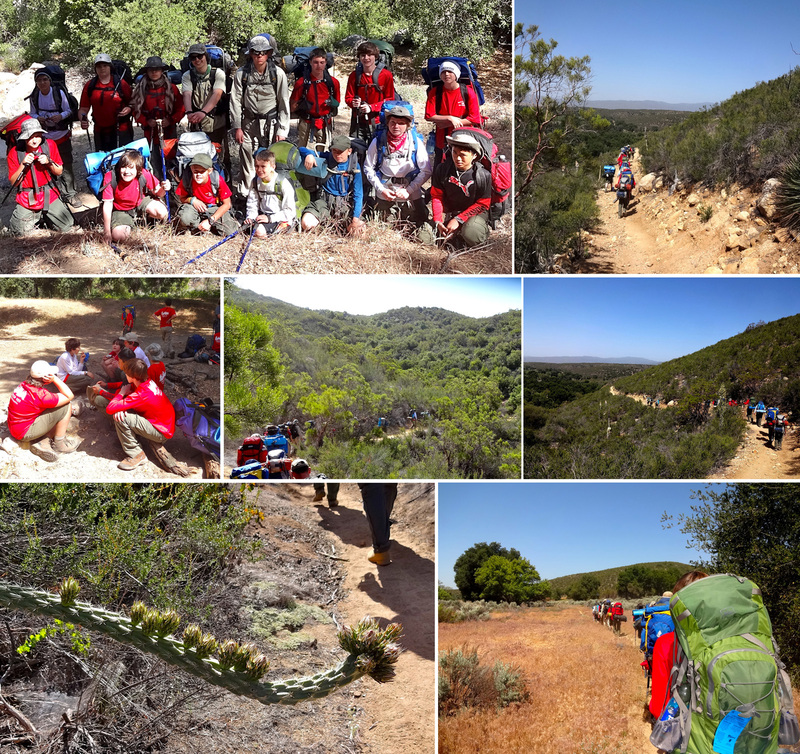 Pictures of our excellent hike are below. There is also short video of the creek, complete with water striders and a little waterfall. 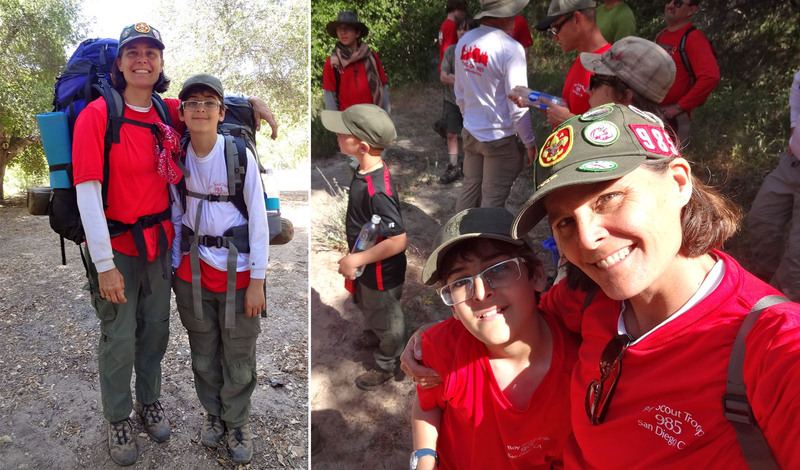 We assembled on Saturday morning at the Von’s parking lot, and the younger scouts have their packs checked to be sure they have all they need, and to be sure they haven’t packed half the house! 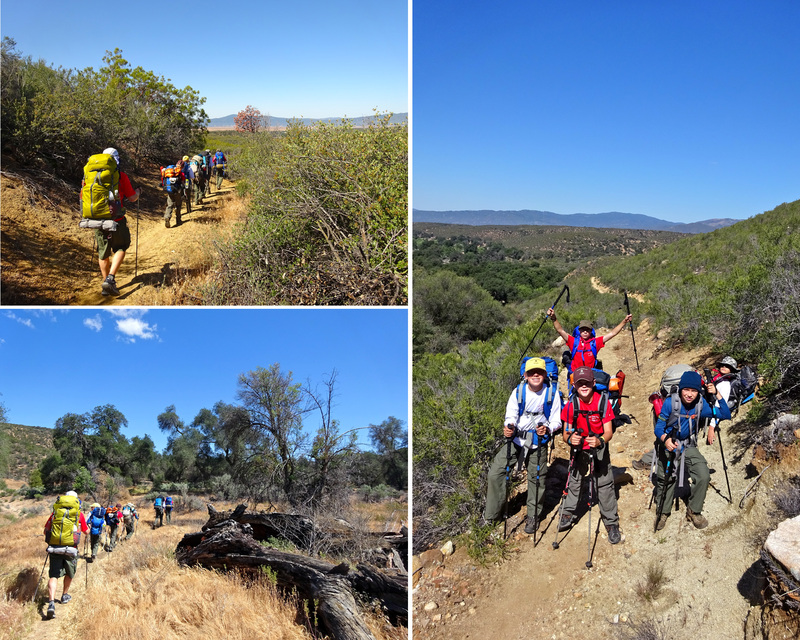 We pulled off on Route 79, shouldered our packs, crossed the highway (step lively! 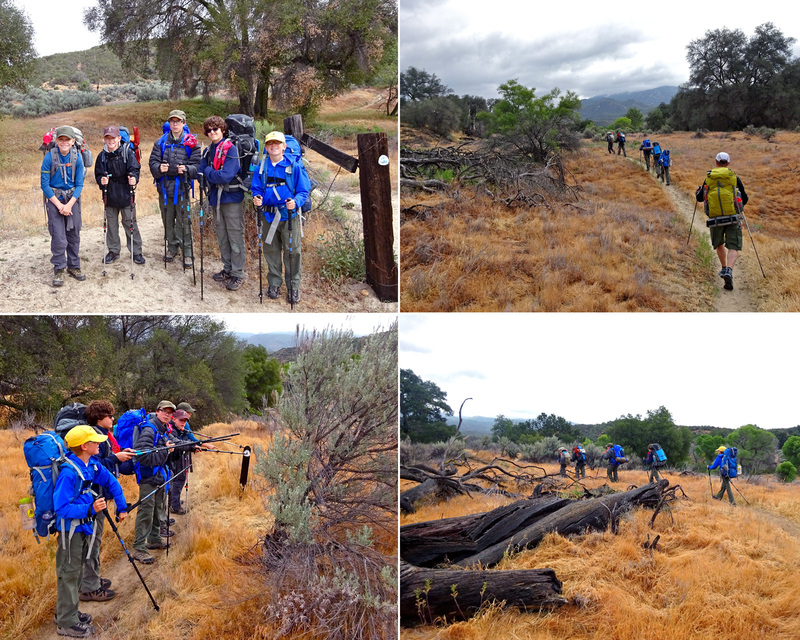 ), and entered the back country. 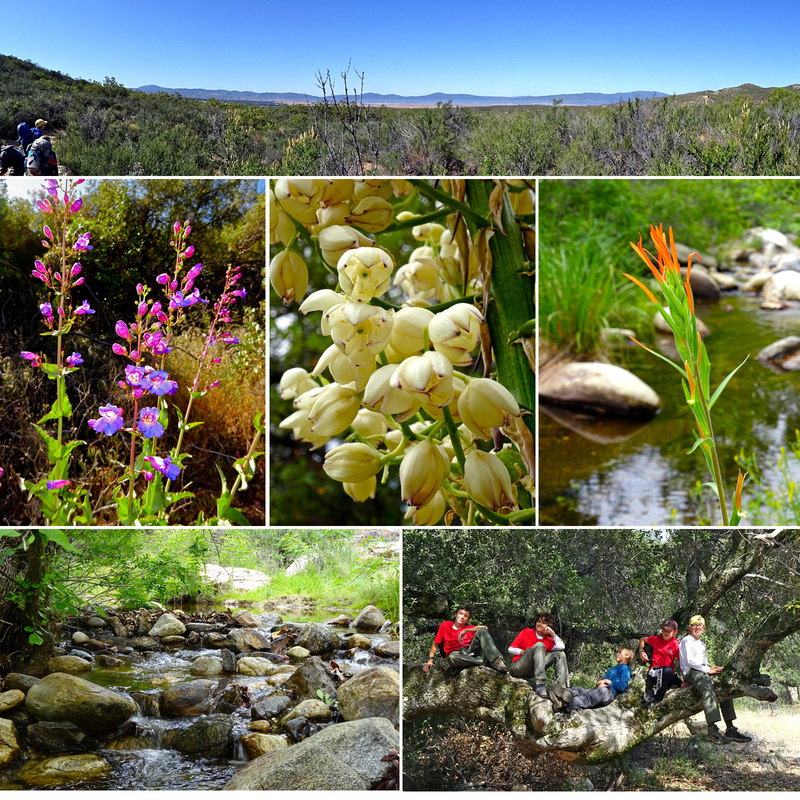 Some views of the hike in. More pics from the hike in. As we went further in, the meadows disappeared and were replaced by scrubby hills. 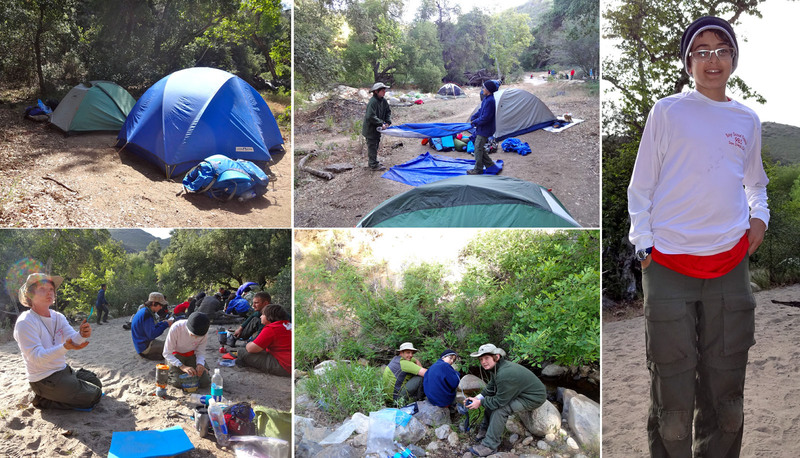 After hiking 3.6 miles, we camped at a little clearing by Caliente Creek. 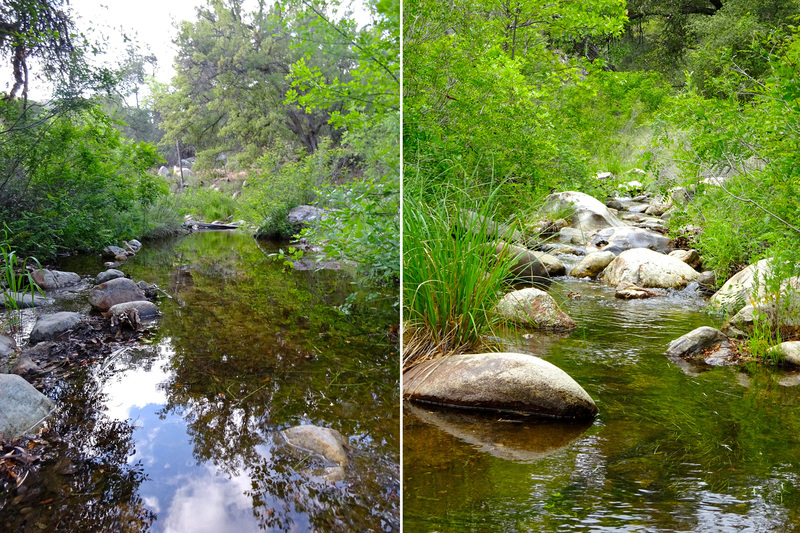 Here are 3 views at different parts of the creek. 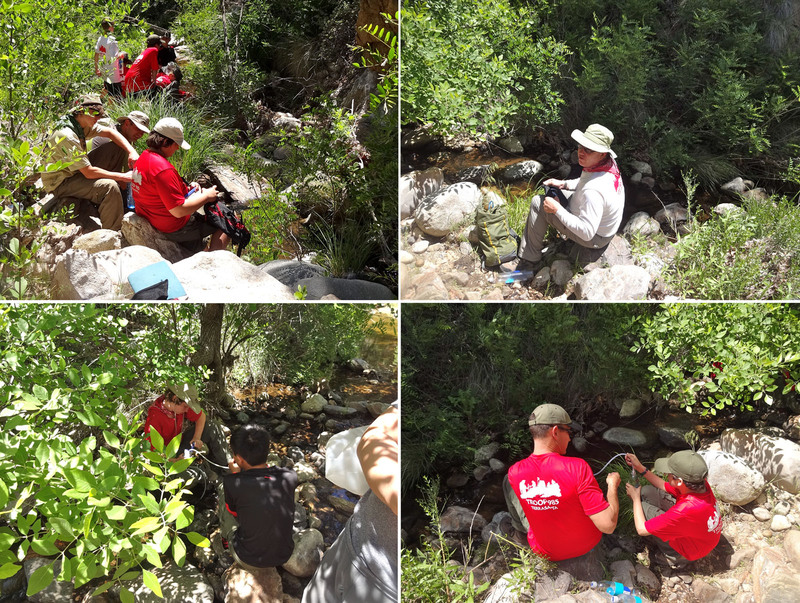 Speaking of the creek, here is the troop filtering water. It is really nice to have water at your destination, so you don’t have to pack as much in with you. 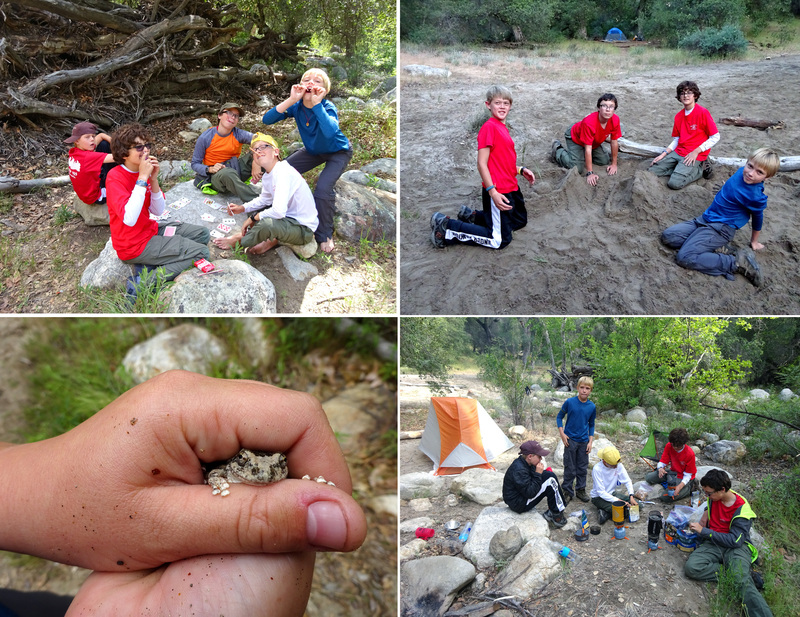 Camp cooking. 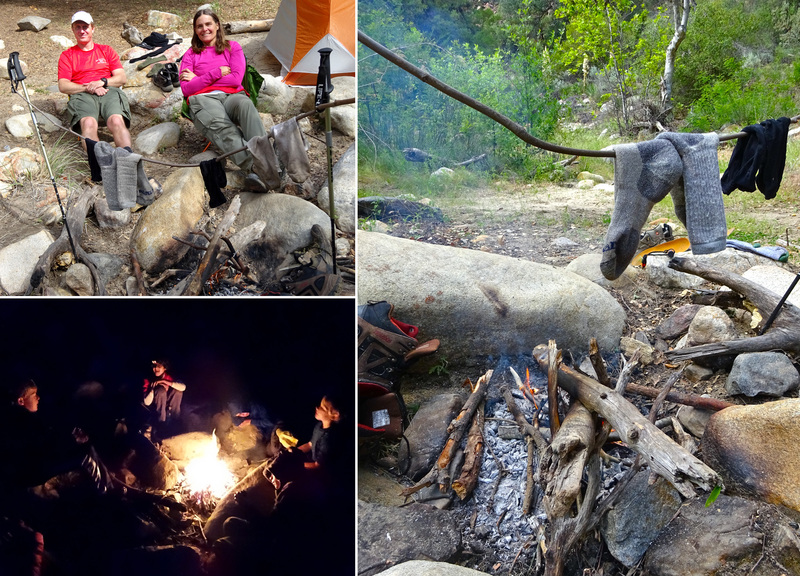 We all made excellent use of our Jetboils and other lightweight stoves. Camp life. Adults hanging out, boys playing cards, surrounded by big oaks. This is the life! I love to check out the plants, so here is a nice selection. 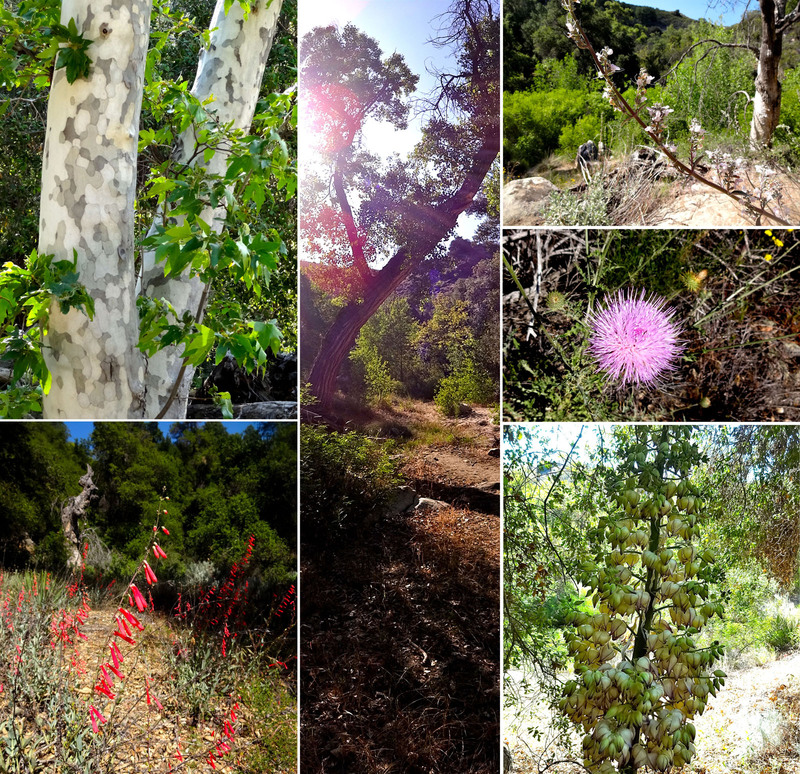 From the top left: Sycamore, Oak down the middle, Sage flower, Thistle flower, a Yucca I think, and Indian Paintbrush. More cool things I took pictures of. 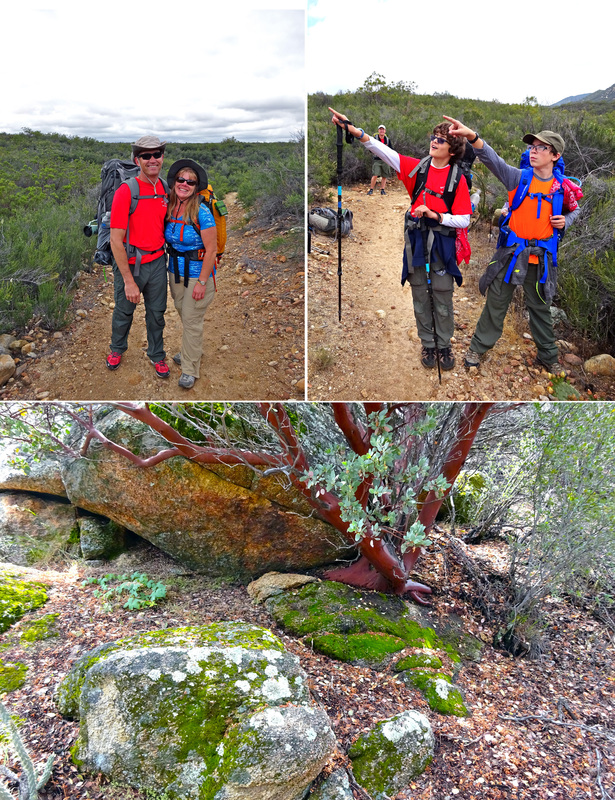 A boulder encased by a branch, and a Manzanita tree up on a cliff. I mostly made up this panel so I could throw in some gratuitous photos of Sam. He’s awesome. 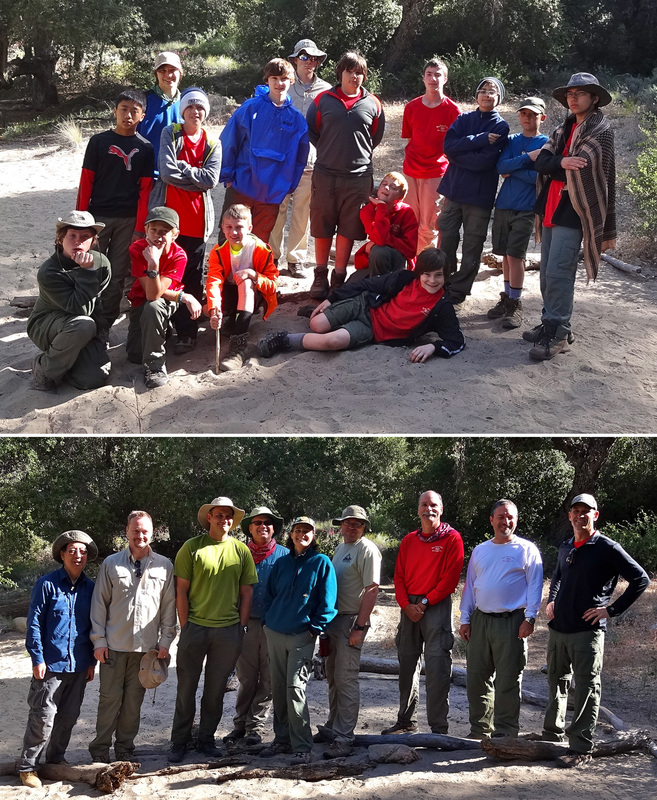 The scouts and the adults, just before we set out for home. Heading back to civilization. 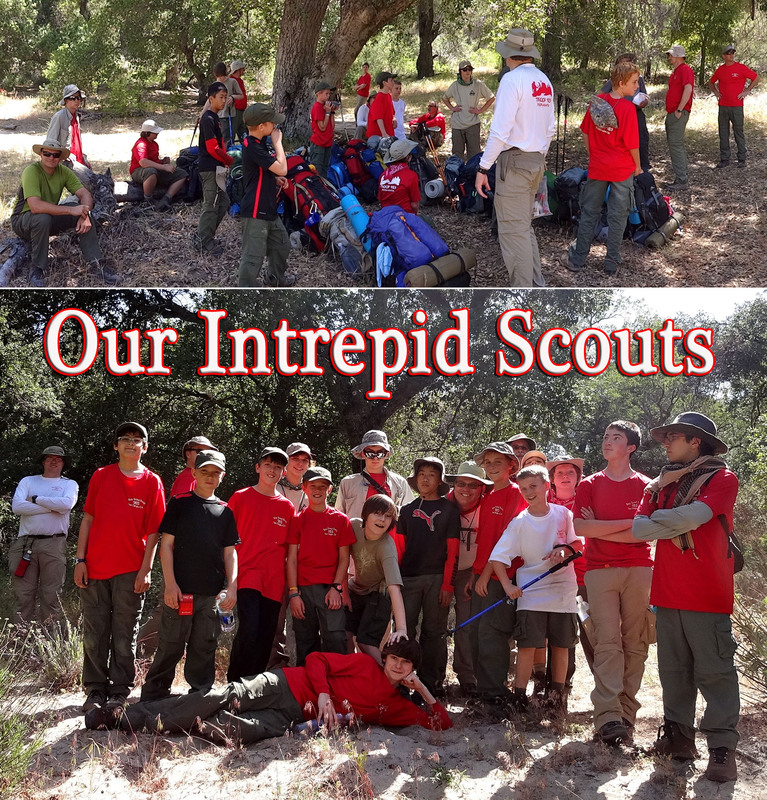 Another great adventure with Troop 985. 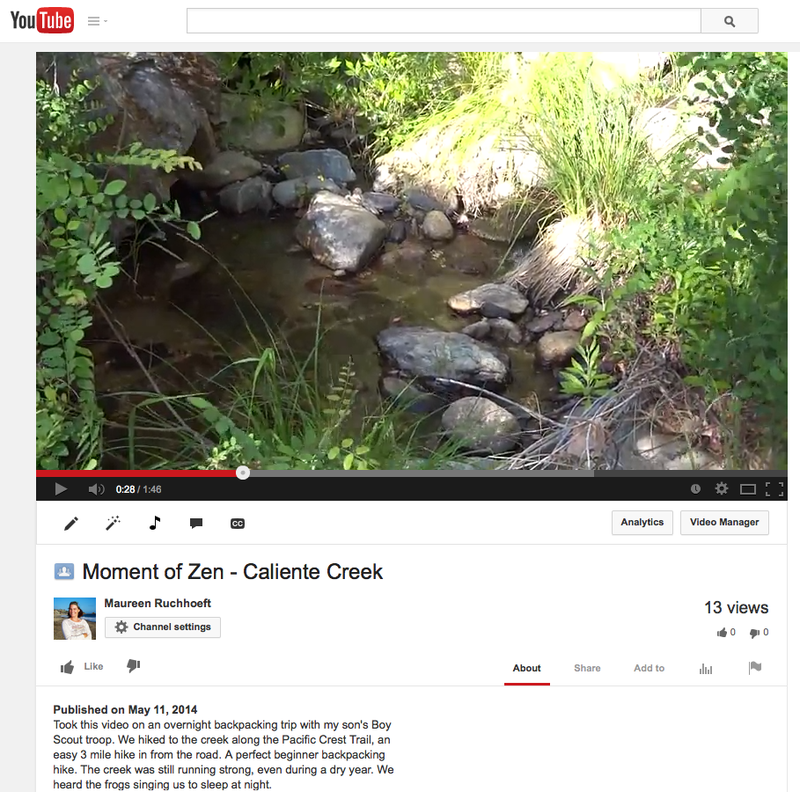 As promised, here is a link to a short video I took of Caliente Creek. As you can see from the screen shot below, it only has 13 views. Sigh. Not exactly Nyan Cat. 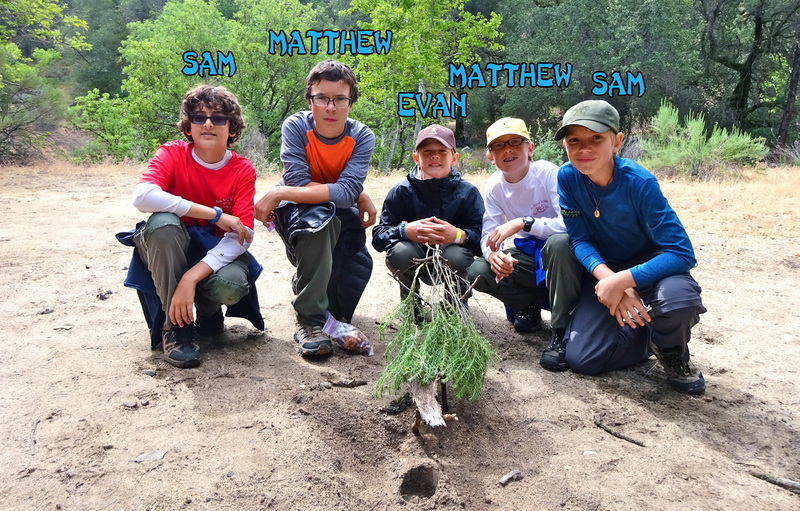 If you go to our YouTube channel (click on my name to get there when you are in YouTube) you can also check out the Lego Land Shark video Sam made for his Cinematography merit badge. That one has 1,822 views. Now that’s more like it!